God research papers examine the idea of the existence of some Greater Power or Powers that permeates human history in the form of gods. Since religion and the worship of a higher power has always been a large part of society, it makes sense that many college courses would include some discussion of God. Depending upon the society, country or historical era one is studying, a research paper on God is common. Paper Masters writes custom God research papers for any course and on any topic you request. A tree, a brook, the sun, the moon – Depending upon your religion, other ways to look at “God”. Called by myriad names and conceptualized in infinite ways, the idea of the existence of some Greater Power or Powers permeates human history in the form of gods. Interaction with these gods consistently seems to take the form of ritualized behavior, though the specifics are as individual as the cultural contexts from which they have emerged. An excellent topic for a religious studies research paper is: Why does each and every group, from time immemorial to present day, develop some concept related to a “god”? On the one hand, perhaps all peoples develop gods and associated rituals in a rather primitive effort to understand the world around them. Though human cognitive power allows us to reach intellectual heights unattainable by most other animals, we are sometimes “burdened” by our own evolution. We are not content with existing in the world, but rather we strive to understand it – and beyond that, to predict and control it. Thus, when natural disasters occur or crops fail or plagues decimate a society, perhaps we develop ideas that go some distance toward explanations available only within the realm of the supernatural. Yet the belief that a god is in total control sometimes leaves us less than comforted. So, we develop rituals that we believe will satisfy, pacify, mobilize that Higher Power to respond to our desires – the world as we would like it to be. This first response to the query above, then, posits religion as essentially a set of superstitious beliefs and rituals that make humankind feel greater control over their lives, though the power is indirect and still dependent upon the whim or Greater Plan of the deities involved. A second explanation is perhaps more satisfying to those among us who profess whatever faith. Perhaps the reason the concept of deity evolves in every culture is because gods really do exist, not as human inventions but apart from and precedent to humankind. Carl Jung suggested that we all share a collective unconscious, a human memory bank of sorts that includes bits and pieces from throughout the history of our existence on earth. The god may be one such memory, and so it manifests itself in every culture – though great diversity is evident in the many manifestations. Philosophers have many different explanations. What is God? Who is God? Where can God be found? This concept forged into opinion by Descartes and St. Augustine has invoked much debate on our faith and its connection to religion. When looking into the aspects of both philosophers, one can see the similarities and the contrast of two great minds trying to understand humanity’s place within the universe. 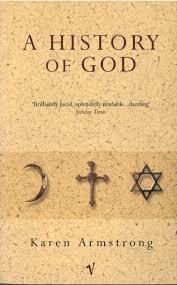 Monotheism research papers examine the religions that have a belief in a single God. Carl Jung's Theories - Jung’s concept of individuation or how the human being manages to integrate the conflicting three parts of the psyche: ego, personal unconscious, and collective unconscious. Order a research paper on Carl Jung from Paper Masters. Augustine's City of God research papers overview the philosophy of St. Augustine. Daughters of Isis Research Papers go into the book by Joyce Tyldesley that examines the role of women in Ancient Egypt. Creationism refer to the theory that the universe and all life forms came into existence by the direct creative acts of a Creator. Paper Masters writes custom research papers on God and examine the idea of the existence of some Greater Power or Powers permeates human history in the form of gods.